Applications are invited for Joint Japan/World Bank graduate scholarship program available open to women and men from developing countries. JJWBGSP offers scholarships in key areas of development, including economic policy management, tax policy, and infrastructure management. Course Level:Scholarships are open for the master degree program. Accreditation:Since inception in 1944, the World Bank has expanded from a single institution to a closely associated group of five development institutions. 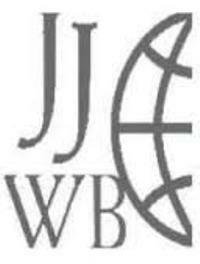 Scholarship Description: The Joint Japan/World Bank Graduate Scholarship Program (JJ/WBGSP) is open to women and men from developing countries with relevant professional experience and a history of supporting their countries’ development efforts who are applying to a master degree program in a development-related topic. Number of awards (s):The JJ/WBGSP provides scholarships to a limited number of Japanese young professionals. Duration of award(s):The JJ/WBGSP provides scholarships for no more than two-year duration. Note all JJ/WBGSP scholarships cover the duration of the graduate program or two years, whichever is less. Selection Criteria:The JJ/WBGSP uses the following process to review eligible scholarship applications from developing country nationals, with the aim of identifying the candidates with the highest potential, after completion of their graduate studies, to impact the development of their countries. How to Apply:The completed application form must be submittedonlineand required documents must be mailed in hard copy by the postmark date of April 11, 2019, to the World Bank. Scholarship Application Deadline:The completed application form must be submitted online by April 11, 2019, and required documents must be mailed in hardcopy by the postmark date of April 11, 2019, to the World Bank.